We are creating a space for evidence-based, collaborative learning and leadership development. 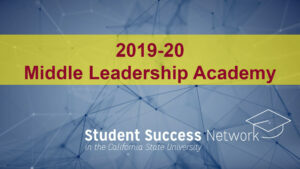 The Middle Leadership Academy is the professional learning arm of the CSU Student Success Network. Over the course of a year, the Academy brings together campus-based teams of CSU faculty, student affairs staff, researchers, and students in a collaborative and supportive environment to work on common issues related to student learning, engagement, progression and completion. The Academy is grounded in a problem-based learning model that motivates participants to “lead from the middle” as they explore and apply strategies to develop and implement on their campuses, with a focus on closing opportunity and outcomes gaps. 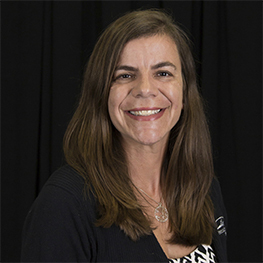 Teams of up to six participants from a CSU campus are partnered with a facilitator who helps guide the team and provides targeted support as they delve into an issue of equity on their campus. Applications for the 2019-20 Academy are already in progress.